In a 2012 TED talk, climate Scientist James Hansen stated that humanity’s current use of fossil fuel is equivalent “to exploding 400,000 Hiroshima bombs per day, 365 days per year” in terms of the energy the Earth is absorbing each day. I hope you find this analogy as frightening as I do. The Episcopal Church has long played an active role in addressing climate change and environmental degradation, including their impacts on poor and marginalized communities, but this year’s General Convention saw more passion around this issue than ever. Eighteen of 20 environmental resolutions passed. The linchpin, A013 Facilitating the Development of the Church’s Ministry of the Care of Creation, affirms creation care as an integral part of The Jesus Movement and authorizes the continuation of the small grants program to support local/regional eco-ministry efforts and the further development of bioregional and/or affinity-based creation care networks. A018 Episcopalians Participating in Paris Climate Agreement adopts the House of Bishops’ 2011 Pastoral Teaching on the Environment as the Church’s official position, acknowledging the urgency of this planetary crisis and the need to repent of our acts of greed, overconsumption, and waste that have contributed to it, to pray for environmental justice, to commit to energy conservation and renewable sources of energy, and to uproot the political, social, and economic causes of environmental destruction. A011 Oppose Environmental Racism illuminates the link between social and environmental justice, affirming that “no community…should bear a disproportionate risk of environmental pollution or degradation; and advocate[s] for and support[s] policies that protect these…communities and the livelihood of future generations from the disparate impact of climate change and environmental degradation,” and sets up a task force to suggests legislative and judicial solutions. C063 Advocate for Ocean Health, which was endorsed by deputies from the Diocese of Maine, asks us to respond to the needs, safety and well-being of refugees displaced due to sea level rise. Resolutions on more specific issues include A014 The Use of Carbon Offsets, which recognizes that travel done on behalf of the Jesus Movement contributes to climate change and authorizes the development of a carbon offset program. For an example, see the Nature Conservancy’s carbon offset program. C008 Advocacy for Creation Care authorizes a web-based personal carbon tracking tool to be introduced to congregations by spring, 2019. C020 Carbon Tax supports public policy to reduce greenhouse gas emissions, such as Citizens’ Climate Lobby‘s carbon fee and dividend, a national, revenue-neutral system that would place a predictable, steadily rising price on carbon, with all fees collected minus administrative costs returned to households as a monthly energy dividend. B025 Water as a Human Right recognizes water as a public trust, asks congregations to learn about and protect regional watersheds and aquifers, and urges the ban by 2021 of the sale or distribution of bottled water in Church-related facilities. Two resolutions support indigenous environmental campaigns: C064 Support of the Leech Lake Band of Ojibwe in Opposing Enbridge Line #3 and X023 Solidarity with the Gwich’in People. X023 developed out of an impassioned address from Bernadette Demientieff on the struggle of the Gwich’in People against the threat of drilling in the “Sacred Place Where Life Begins,” the coastal plain of the Arctic National Wildlife Refuge. The recording of the livestream of her talk begins at 23:40. Join your congregation’s creation care committee, or if there isn’t one-start one! Join our efforts to revitalize Maine Interfaith Power and Light. Contact Sarah Braik at sbraik642@gmail.com if interested. As a first-time deputy to General Convention with the privilege of serving on the Standing Committee for Program, Budget & Finance (PB&F), I really had no idea what to expect from the two-week experience. It appeared to be serendipitous given my work history with the Appropriations Committee in the Maine legislature. My focus at convention, like it is with my work in the Diocese, was advocacy. I traveled to Austin determined to learn as much as possible about the Church’s mission to focus on advocacy on the church-wide level: public policy, justice and peace-making, anti-racism, poverty, health care, public education, prisons, and care for the earth. Yesterday, the House of Deputies passed the triennial budget without amendment, a strong vote of confidence in the work of PB&F and our Executive Council that crafted the original draft blueprint. It was the result of several days of meetings, starting early in the morning and often until late in the evening, learning about the 700 line items and 160 staff positions contained in the budget plan. I learned in detail how the budget for advocacy creates a prophetic role by calling our Church into courageous conversations about race, poverty, violence, criminal justice and the institutions that support these systems. It reinforced the model we use in Maine to engage in the public square. The budget funds the “Jesus Movement” work of the Church without expanding staff, creates time-limited task forces and preserving the diocesan assessment rate at 15%. 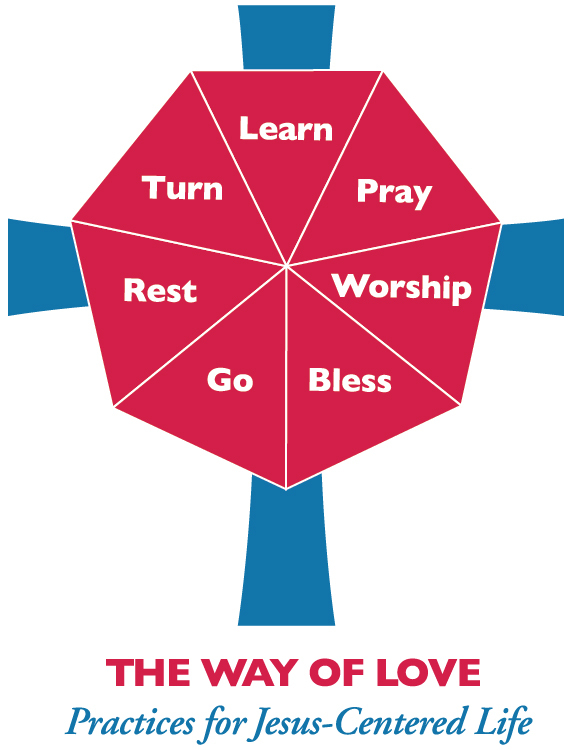 The Program, Budget & Finance Committee, under Bishop Steve Lane’s gracious leadership for the past nine years, is responsible for recommending funding and spending policies to each General Convention for the succeeding triennium. We began this process with a $15 million dollar deficit – more than 10% of the total – and were ultimately able to present a balanced budget to the convention. We heard from church leaders and lay people who shared information about the amazing work happening all across the world. My role on this committee allowed me the opportunity to combine my knowledge of the state budget process with an understanding of church and diocesan level budgets. It was also an opportunity to encourage continued focus on church-wide sustainability and a reminder of the daily challenges small dioceses face. Being a member of this committee was an informative experience giving me keen insights into the many ways our Church supports advocacy work all over the world. It was also an opportunity to witness budget development from a different perspective as the person who gets to vote on the initiative and not trying to convince someone else to do the right thing. Finally, the General Convention, is considering about 50 resolutions giving advice to the Office of Government Relations (OGR) on issues like alleviating poverty, human rights, safety net programs, renewable energy, criminal justice reform, environmental racism, gun safety, racial injustice and many more. The OGR has been a strong partner in our advocacy work in Maine, and we look forward to developing our network for justice into an even greater voice working with our brothers, sisters and siblings in the DC office. 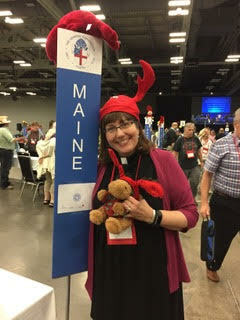 I offer my thanks to the people of our Diocese for sending me to Austin and hope we are able to bring the spirit of convention to our work in Maine. Two nursing babies attend General Convention with their deputy mothers, and a handful of children gather in the “soft space” provided for them during worship, but the long-term wellbeing of all children is woven throughout this General Convention. The resolutions before us have included A034: “Fund the General Convention’s Children’s Program,” D087: “Parents Nursing and Bottle-Feeding Children,” and A033: “Supporting and Expanding Episcopal and Youth Events.” These resolutions focus specifically on children connected to the Episcopal Church. Today the Resolution that our Diocesan Convention sent with us, C038: “Safeguard the Rights of Palestinian Children,” goes before the House of Bishops. And our powerful work on Racial Reconciliation shook me out of any northern white complacency I still harbor into an awareness of our need to address racial discrimination not only in prayer but in action, in legislation, in willingness to name it when we see it, for the sake of all our children, of any race or creed. We are passing legislation that acknowledges climate change and mandates creation care, addressing matters such as ocean acidification, reduction in carbon use, water as a human right – again, matters that our Episcopal Public Policy Network and Office of Government Relations can advocate for in Washington – for the sake of this Creation that God calls “good,” and for the sake of all the generations yet to come. “Let the little children come to me and do not hinder them…” Our job as Christians is to remove whatever hinders them, whatever assaults and hurts their bodies or souls. General Convention is using the tools of legislation to try to do just that, “for to such belong the Kingdom of God.” To such belong the future, not only of the Episcopal Church, but of the world. Ben Shambaugh, dean of St. Luke’s Cathedral in Portland, takes his turn as Deputy of the Day. While I have testified several times at committee, I have been quiet on the floor of convention, listening to voices not always heard the church. In my committee, Prayer Book, Liturgy, and Music, the strongest and most passionate voices have been from the Latino community, asking for better translations of existing services and the addition of new services that represent their cultural traditions. From the parents of a girl who was killed at Marjory Stoneham High school, to the personal stories of men and women who have been abused by or in the church, to a Gwich’in woman pleading for the future of the sacred caribou breeding ground in the Arctic National Wildlife Refuge of Alaska, which is now open to drilling, what I have heard has brought me to tears. From the preaching of the Presiding Bishop to the music of African drumming, singing with a Caribbean beat, and jazz to knock your socks off, what I have heard has filled my heart with joy. The legislation is important, and you need to know that your fellow Mainers are working hard, often 14 hours a day, for you. Significant decisions are coming down the pike. As, in our congregations, however, what’s most important is the communion and community we share with one another and with God. Sawubona. Deputy Mark Spahr of St. Patrick’s, Brewer. His third General Convention. He’s an old hat at this. This is my third General Convention as a deputy. The days and nights are packed with committee meetings, legislative sessions, worship services, and many more activities. We are at the halfway point for legislative sessions, yet we have only dealt with about one-third of the more than 400 resolutions that were submitted. Early mornings and late nights are usually the norm here. With so much going on, so much busyness, it can be difficult to catch your breath, to slow down and notice the people around you. I’m not talking about saying “hello, what diocese are you from?” That kind of thing happens a lot at convention: in the elevator, in line for coffee, or walking to the convention center. (I enjoy those quick interludes and people seem to always light up when I tell them I’m from Maine. Everyone seems to love our state!) No, I’m talking about really seeing the people that you meet. This could be just a greeting. But I think it an invitation to really see the other person. It’s an invitation to meet one another, to recognize that you may have different viewpoints about life, politics, or theology- but to see that there are so many ways you are alike. Some times you just have to slow down for just a minute, to notice, to see. Sunday, I had one of those moments. I got into the elevator to go down to the Bishops United Against Gun Violence rally in front of our hotel. A couple walked in behind me and I looked up and realized it was Phillip and April Schentrup, whose daughter Carmen was killed in the mass shooting at Marjory Stoneman Douglas High School in Parkland, Florida this past February 14. They had spoken to the House of Deputies the day before and they were on their way to speak at the rally. I am the father of two girls. I cannot begin to imagine this happening to one of them. The grief, the anger, the helplessness. We were alone in the elevator and I could see and feel all of this and more washing off of them. The hollow look in their eyes belied a pain that will never go away. “Thanks for coming to convention” was all I was able to muster. They both gave me brief, forced smiles and then we exited the elevator. On the way down to get dinner, I stepped into the elevator and again found myself alone with Phillip Schentrup. He had that same pained look in his eyes. I took a chance and tried to strike a conversation by introducing myself. To my surprise, his face lit up. Like many before him, he was excited to hear that I was from Maine. He and his family visited Maine a couple of years ago and it seemed a fond memory for him. We talked about the places they visited, how they went whitewater rafting on the Kennebec, how they had been to Bar Harbor and Acadia National Park. We continued to talk as we walked into the lobby. He seemed grateful for a moment of normal conversation. A few moments later, we parted and went our separate ways. I don’t know if he will remember meeting me. I don’t know if he will remember anything we talked about tomorrow, next week, or next year. But I will remember taking a minute to really seethis man, to see past the mask of pain he wears, and try to do better than mumbling “thanks for coming.” I hope I helped for a few moments, even just a tiny, little bit. Sawubona. Yebo. Who will you see today? The Rev. Calvin Sanborn of St. George’s, York Harbor, testifies on B012. It’s Monday and all business all the time at the 79th General Convention. Maine’s members of the Program, Budget, and Finance Committee, Bishop Steve Lane and Deputy John Hennessy, started early this morning to the work of pounding out a three-year budget and – after a full day of legislative work – will return for another work session at 8 p.m. this evening. Bishop Lane, as Vice-Chair, will present the budget at a joint session on Wednesday afternoon. Yesterday marked the passage of B012, “Marriage Rites for the Whole Church,” in the House of Deputies. It moves onto the House of Bishops now. Deputy Calvin Sanborn offered compelling testimony on behalf of this compromise resolution. We’ll post the ENS story that explains the whole thing in tomorrow’s news update. This afternoon there was spirited testimony on a resolution, D019, “Ending church complicity in the occupation,” that calls for a human rights screen for investment of Episcopal Church-controlled funds in companies that profit from or contribute to human rights violations in Palestine. The deputies passed it by a wide margin, and it now goes to the House of Bishops. This evening Mainers will gather with fellow New Englanders at the Province 1 caucus. Each day, Bishop Steve Lane takes a few moments to recap the day. I was in the elevator on my way back to my room to write this when another deputy said, “Today feels like several days!” So it’s not just me! Today is Sunday at General Convention, which was an odd, hybrid kind of day. Our morning was one of witness and action; prayer and song – a strange combination of power and helplessness, as we attended two different events in quick succession. First we gathered at the park for the Bishops United Against Gun Violence Witness, where we wept with the family of Carmen Schentrup, even as we were awed by their strength. Then we were inspired by Abigail Zimmerman, a rising ninth grader from Waco, Texas, who talked about organizing a school walkout in remembrance of the victims of the Parkland shooting, victims like Carmen. At the walk out, she and her friends challenged their classmates to do 17 random acts of kindness in honor of the 17 students killed at Marjory Stoneman Douglas High School. Abigail described how it felt to see people doing kind things all over the school. And then she challenged us to make change happen, to vote, to make a difference. So that children and young people don’t have to be afraid to go to school anymore. Read more to find out what happened on yesterday’s Day Two and Day Three. Every day that we are here at General Convention, the Bishops are gathering for public prayer for 15 minutes before our meetings begin in the morning (7:15 a.m.) and giving out 96 small wooden crosses each morning – to represent the 96 people who will be killed by gun violence that day. The crosses are on a string, so people can wear them, and some have written the name of someone they pray for whose life has been affected by gun violence. It’s already eerie to see people wearing them. Immediately following the witness event we got on buses. There were many, many buses full of Episcopalian witnesses to the way of love – as we rode almost an hour to the Hutto Detention Center in Taylor, Texas, to hold a prayer vigil on the grounds there, in witness to the women who are being held inside – while their immigration status is being determined. It was noon and hot, TEXAS HOT – but there we were, hundreds and hundreds of us– singing and praying and protesting our hearts out. At one point I looked over and Carmen Schentrup’s family was there in the crowd with us at the detention center – advocating for others, praying for others, and willing to join us in this witness on this impossibly hot day. As good Episcopalians, we split ourselves between worship and mission: the 1/3 of us who were up front worshipped and prayed together, while the 2/3s in the back turned toward the detention center, eventually walking over to see how close they could get before being turned back by the police. All of us sang and prayed in hopes the women would hear us somehow, through the narrow windows in the big concrete structure. Mainers among more than 1000 Episcopalians gathered to stand in public witness outside a women’s detention center in Taylor, Texas. One of the women inside the Center reported on a call to an advocacy group that the women could hear the singing, their faces pressed against the windows, watching and waving. For a moment they felt they were not forgotten or alone. Presiding Bishop Michael Curry got up and preached another extraordinary sermon – you should hear it for yourself, honestly. What was interesting was how hopeful and empowered we felt in the midst of so much powerlessness. We didn’t do anything today to stop gun violence, nor did we change the situation for a single woman detained in the Hutto Center. But we remembered ourselves and were renewed for action. And I believe the women in the detention center felt a little better knowing we know they are there, and if, when we pray, we are joining our will to God’s own, then surely something will shift, even a little. For there were a lot of prayers out there in the hot Texas sun today! wait for it – voted on various officers and positions in the church for the better part of three hours. Not the most exciting part of the day. The conversation on the marriage liturgies resolution was begun, and will resume tomorrow. Here’s a photo of me, dutifully wearing the hat – and the General Convention House of Deputies pigeon. Tonight was a full caucus – all four groups met together (Asian, Black, Latino and Indigenous People). The group celebrated the many elections that were won by members of the caucuses today – in one day on the floor of the House of Deputies, there’s significantly more diversity. Which has everything to do with people being willing to take the risk, being willing to put themselves out there. The room feels hopeful and expectant – as if things are possible that weren’t before. People are showing up and supporting resolutions, and proposing legislation, and structural changes to promote more deputies and other leaders of color. Looking beyond eliminating structural racism, to what might come after, structures which buildup the next group of leaders in our diverse communities of the Episcopal Church. I’m honored to be part of it, and to be welcomed into the group. Most days are very busy at General Convention. Today was no exception. It began with a morning legislative session in which we continued debate that started the day prior to discuss Resolution A068 (Plan for the Revision of the Book of Common Prayer). This was of particular interested to me, since I have been following the work of Special Committee 13, the committee created to hear testimony and perfect this resolution as well as the resolutions concerning the marriage liturgies approved for trial use at the 78th General Convention. As we prepared for Convention many of us anticipated that A068 would be of great interest, not only to the deputies and bishops gathered here to discuss and vote on resolutions, but also to the wider church – people who follow the work of the Convention from afar via social media. As it turns out, we were correct. Social media has been buzzing with fervent opinions on both sides, and we saw this same fervor play out in our debate on the floor of the House of Deputies both yesterday and today. After several amendments which strengthened the resolutions commitment to be faithful to the historic rites of the Church in the revision process, while also being sensitive to the Church’s liturgical, cultural, racial, generational, linguistic, gender, physical, and ethnical diversity, the resolution passed by wide a margin in a simple majority vote by orders. The Maine deputation voted unanimously in favor. Prayer Book revision is, of course, not a done deal. Resolution A068 will now need to go before the House of Bishops. If the House of Bishops concurs with the House of Deputies and passes A068, the Standing Commission on Liturgy and Music will begin its work on the comprehensive revision in the next triennium. It is likely, however, that a newly revised Book of Common Prayer will not be officially approved for use until the year 2030, so we have ample time to review materials and prepare for this potential transition. More to come on this resolution as we wait to hear from the House of Bishops. Stay tuned! The morning legislative session concluded with a heartrending presentation by April and Phil Schentrup, the parents of Carmen Schentrup, a sixteen year old member of the Episcopal Church who was killed when she was shot four times by a semi-automatic, assault-style rifle at the Marjory Stoneman Douglas High School in Parkland, Florida, on February 14, 2018. April, Carmen’s mother and an elementary school principal, stood at the microphone on the platform in the House of Deputies with her husband, Phil, and two surviving children, Robert and Evelyn, close by. Pausing several times to hold back tears, April described for us how quickly life had changed for her and her family on that horrific and violent day. Carmen was a high school senior, one week shy of her 17th birthday, when she as killed in her AP psychology classroom. She was bright, self-determined, curious. She loved music and played guitar, violin and piano. She had such a promising life ahead of her, and now she is gone. “We can no longer be silent,” April said. She implored the Convention and all members of the Episcopal Church to join with her and her family to do everything we possibly can to promote sensible gun reform. On Sunday the Maine Deputation will join the Schentrups at a Public Witness sponsored by Bishops United Against Gun Violence, a group of more than 70 Episcopal bishops, including our own Bishop, Stephen Lane. Please pray for us, for the Schentrups, for every family who has been affected by gun violence, and for our country – that we may create sensible solutions to prevent these tragedies and promote safety and peace for all. Some of the Maine deputation, including (at right) Elizabeth Ring of St. Bartholomew’s, Yarmouth, out for dinner after a long day of committee meetings and deliberation. Day two: hearings, a joint session, more hearings, a legislative session, worship, and a delicious dinner. We had wonderful conversation in my Legislative Committee (Ecumenical and Interreligious Relations) about our Dialogue with the United Methodist Church. Bishop Palmer (UMC) and Bishop Brookhart (TEC), co-chairs of the Dialogue, provided helpful insights into the questions we each have about each other. Both of our churches have deep concerns about racial reconciliation, care of creation, and evangelism – how we share the story of Jesus. There are important conversations still to come, internal for each denomination and in the Dialogue, but the energy around building on our commonalities is exciting. There are lots of resources to support local conversations with our UMC neighbors. The most complete collection is at umc-tec.org. The House of Bishops joined us for a Joint Session on Racial Reconciliation, which included presentations in person and through visual media of stories of life changing events that have led to abandoning violence as a solution, and the creation of serve2unite.org and the Absalom Jones Center. This was the first of three TEC Conversations. A wonderful article about this first conversation is available here. I hope the videos will be available soon. In the afternoon, we proceeded to a legislative session that focused on the process of revising the Book of Common Prayer, outlined in Resolution A068. One particular concern is the quality of our translations and whether or not they honor the nuances of the language into which they are translated. Interesting discussion included some glimpses into the history of revision leading up to the 1928 book and subsequently the 1979 book. Revision has never been a neat and tidy, uncontroversial event. The importance of a transparent process that encourages the members of our congregations to learn and share their thoughts was clear. The length of the process as presently laid out in the Canons is for many a deterrent. More discussion will happen tomorrow and there are more resolutions on this topic to come before us. General Convention is an intense and exciting opportunity to learn from the experiences and wisdom of people from throughout TEC. The presence of deputies from TEC churches around the world is a real joy and a critical reminder of our diversity. Their voices contribute important perspectives into our discussions. This is my second Convention as a Deputy and my seventh overall because of my work with the lifelong learning, resource, and ecumenical networks. It is wonderful to be walking along and bump into old friends and colleagues at the same time I am making new ones. Thanks for sending me. Good heavens – where to begin? We started at 8 a.m. with a legislative session, shortly followed by the opening Eucharist.